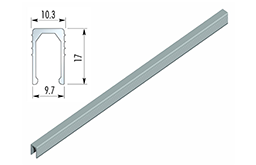 This U shaped profile fits into the bottom of the door and ensures the sliding action remains smooth over time even if the door should warp. 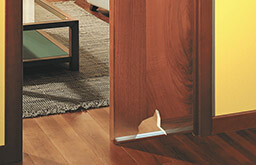 No floor track at all, no threshold needed, you can continue your flooring right through the opening. A futuristic addition for any single or double system. Just slide the door towards it’s closed position and at a certain point the door takes over and softly closes itself. Useful, easy to use and increased safety from trapped fingers, once you used it there is no substitute. 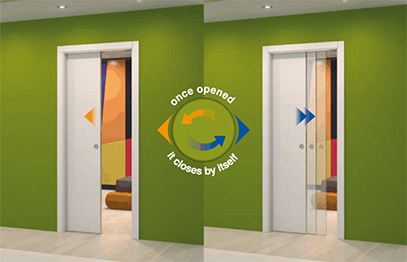 The self closing mechanism is an ingenious system which is completely enclosed inside the frame and allows the door to close by itself, with no input from you whatsoever. 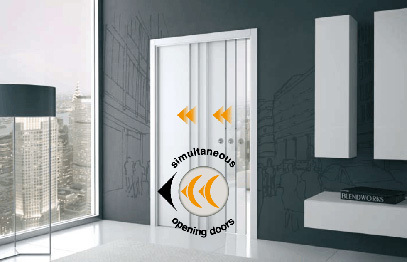 The double door co-ordination allows two doors to open and close simultaneously, by just opening and closing only one of the them. The cable has been specially developed for its strength and resistance to stretch over time. 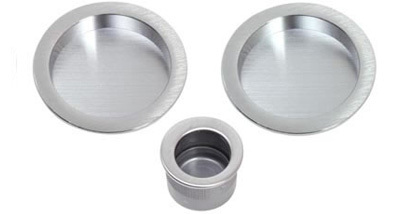 It is a 132 strand, 2mm stainless steel cable complete with a zinc plated 1.5mm spring. 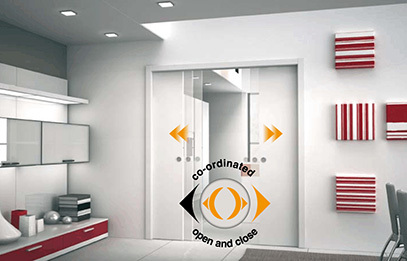 The synchronisation system opens and closes two double doors in the same direction. As soon as you start opening the first door, the second door also starts opening and they progress together until fully opened with no damage, banging or bounce back. 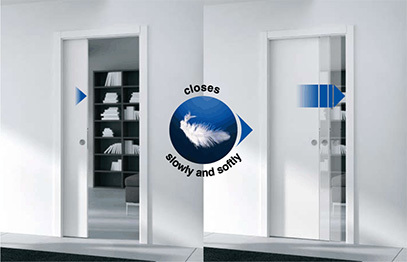 Ideal for single sliding doors where locking is not important. 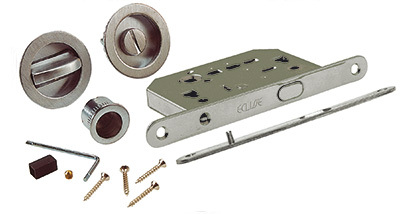 Supplied with finger pull for use in the leading edge of door. Specifically designed for use with bathroom/wc. 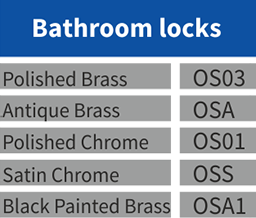 These locks have internal thumb turn and external emergency opening. 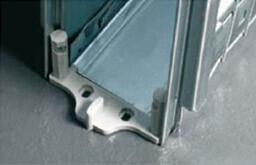 Also included is a finger pull for use in the leading edge of door. 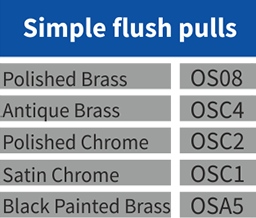 Available for 35mm or 44mm doors.